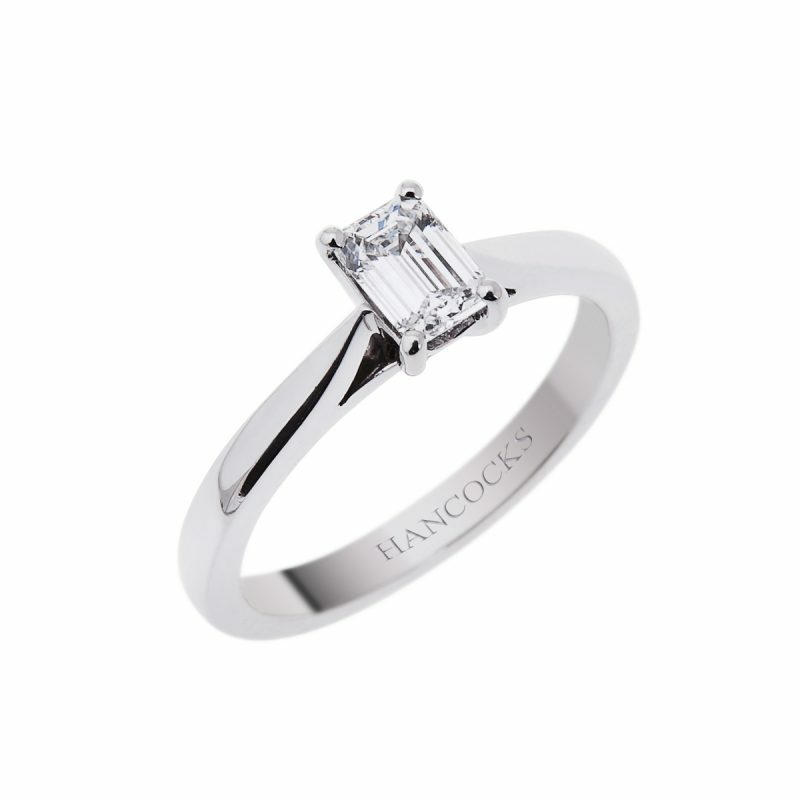 If you are looking for an engagement ring that is a little less ordinary this emerald cut diamond solitaire would be perfect. Mounted in an elegant handmade platinum claw setting that is designed to fit flush next to any of our wedding bands. 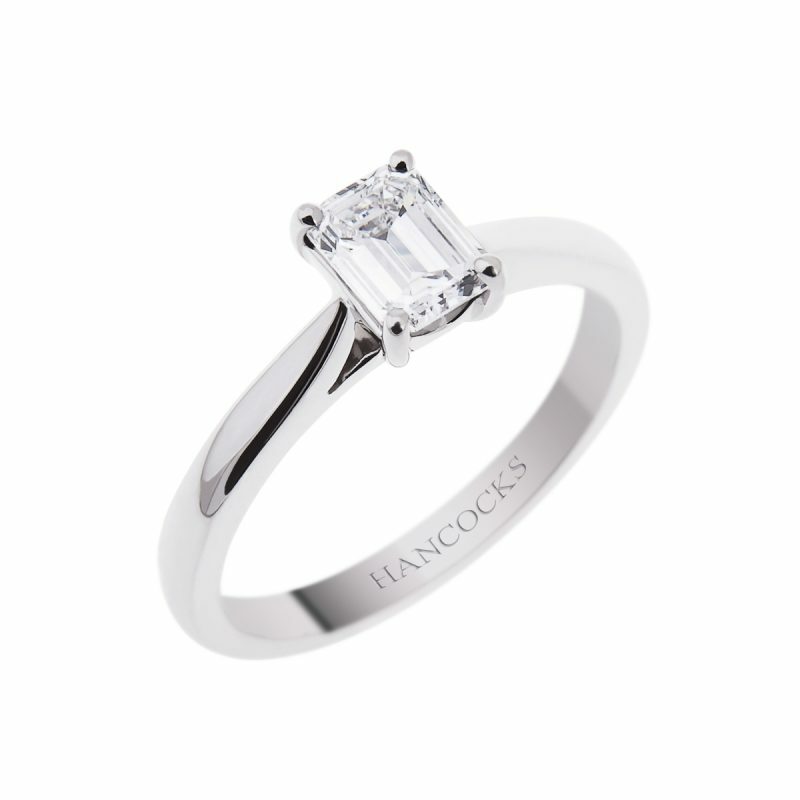 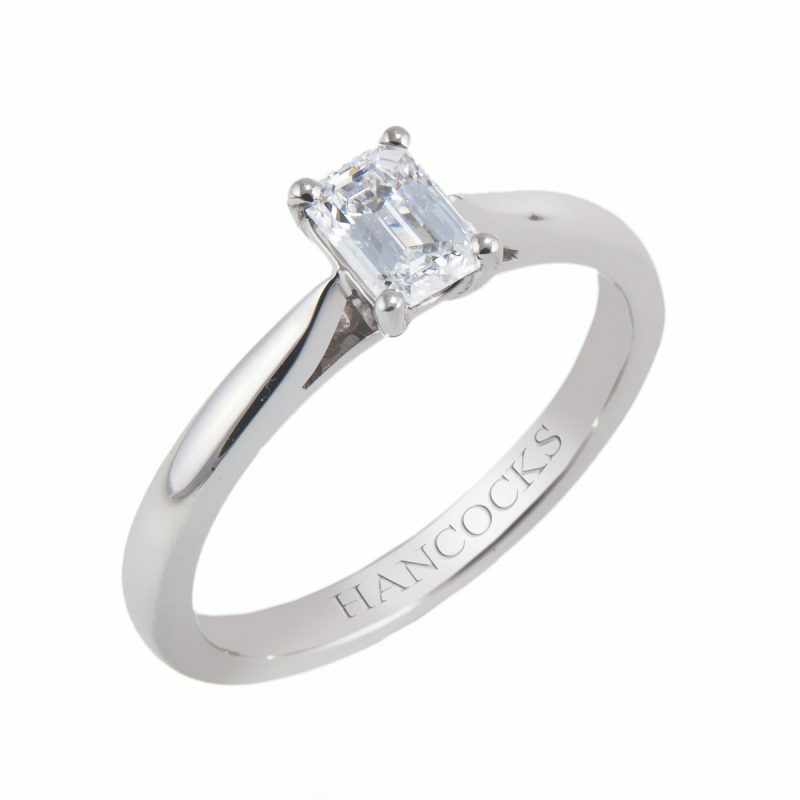 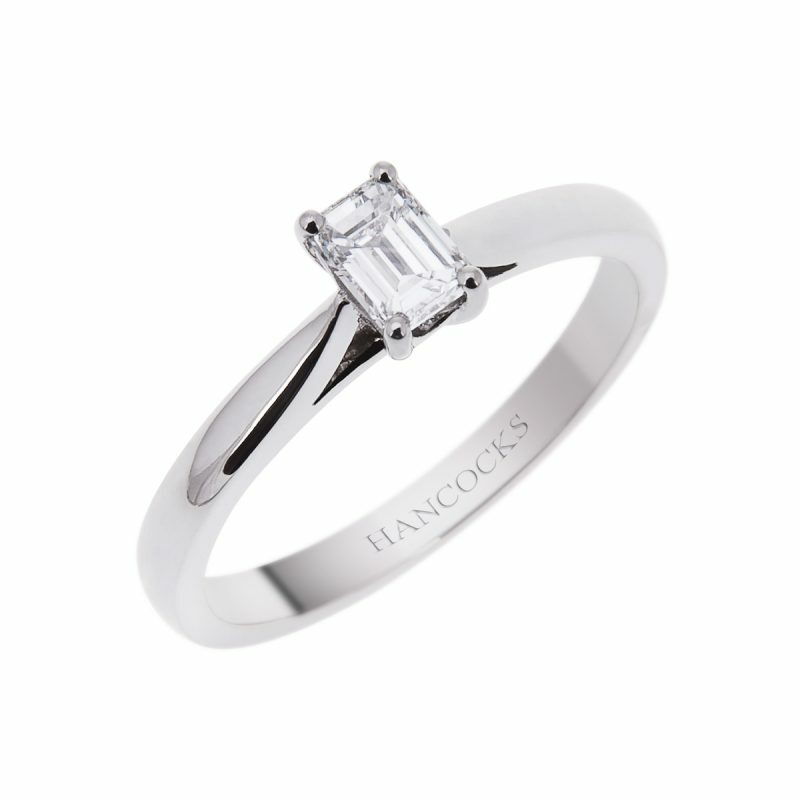 The long lines of the emerald cut give it a vintage and timeless feel, favoured by those who love an understated style.